Beautiful and immaculate three bedroom, two bathroom Castle Heights contemporary home with an arboretum-like backyard that even has a basketball court. 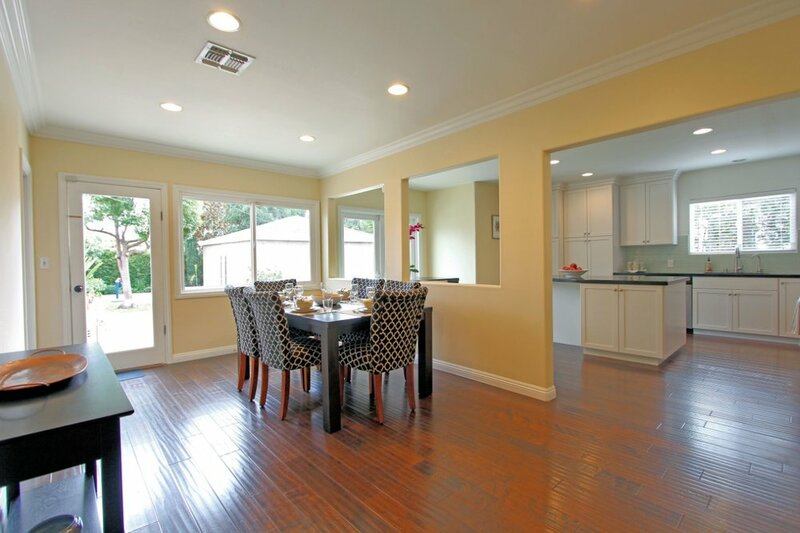 This stylish Beverlywood adjacent single story is located in the Castle Heights Elementary School District and close to the Expo Line. And this elegant property with an open and airy floor plan features a remodeled gourmet kitchen with Viking Refrigerator, Wolf stove, and nook, formal dining room which can be used as a family room, spacious living room with fireplace, hardwood floors, copper plumbing, central HVAC, upgraded electrical and dual pane windows, freshly painted interior, Whirlpool washer/dryer, automatic sprinklers, and plantation shutters. The garage has a bonus room perfect for yoga or an office which looks on the large backyard that presents a lovely patio area with furniture. A wonderful combination of style, space, and privacy.